Using the traditional method as taught by Dr. Usui Reiki can also be used for many ailments but perhaps specializes in stress reduction, relaxation & body balance/harmony. Many physical illnesses we experience are actually the manifestation of an emotional or energy imbalance within our bodies. By addressing these emotional & energetic imbalances we can often make great improvements & sometimes even have complete success in overcoming the physical symptom. & working with these two powerhouses channel their energy into the healing for whatever it is that the client is experiencing. Don’t be mistaken, just because that we are dealing with these forces does not guarantee miracle cures of cancer or other illnesses. 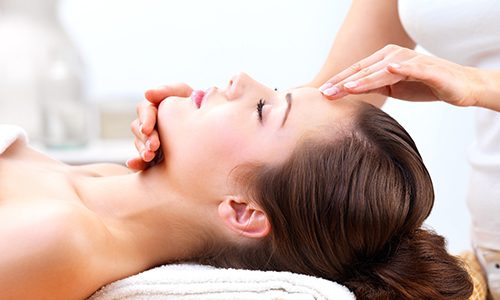 Reiki is soft & gentle in its application but can be so very powerful in its results. I have seen some amazing results both as a practitioner & as a recipient. Come & experience the amazing energy that is Reiki.